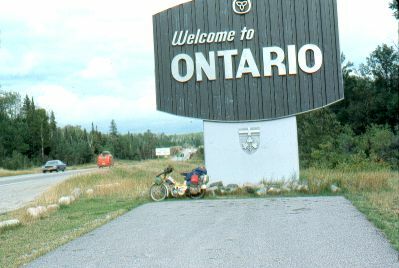 Back into Ontario (at the Manitoba border). 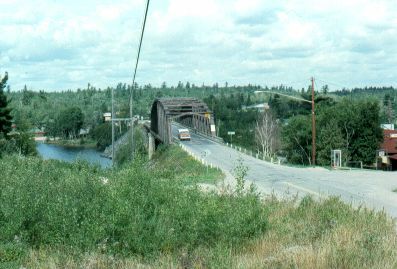 The Sioux Narrows bridge. This is the world's longest single span wooden bridge. This is south of Kenora in northwestern Ontario. 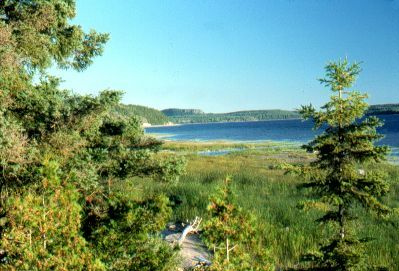 Helen Lake, north of Nipigon, Ontario (east of Thunder Bay). 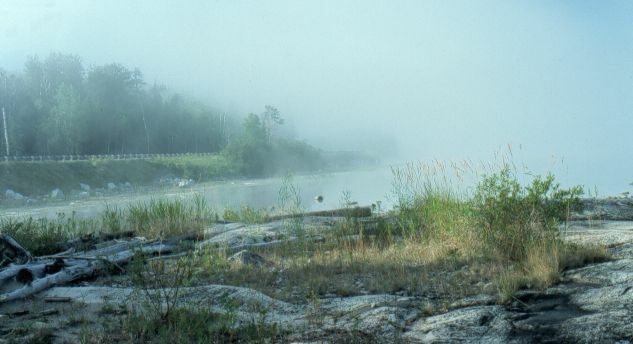 Early morning fog on Helen Lake, at my campsite. Campsite on Helen Lake. Cooking breakfast as the early morning fog burns off. As I got nearer to home (Toronto), I became more reluctant for the journey to come to an end. 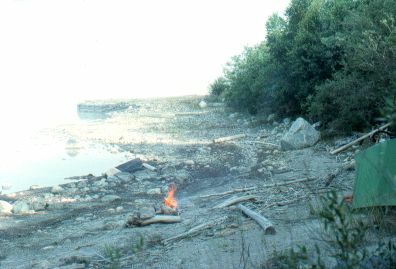 I stayed lingered each morning at my campsites, and took my time during the day. 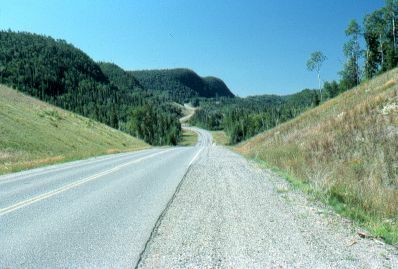 South of Orient Bay, north of Nipigon, along Hwy 11 in northern Ontario. This is typical scenery along here.